In my thirty plus years as a faculty member I’ve had a lot of people in tears sitting in my office. Too many to tally, really. They were women and men, grad students and postdocs, from the U.S. and abroad, from my lab and other labs. How do we – charged with responsibility for the research efforts of our groups – learn how to interact with people who have become so distraught? Lest you think that I’m some kind of tyrannical ogre, very few of those in my office were crying because of anything I’d done. Instead, they were struggling over problems like a split-up from their partner, unwanted pregnancy, a visa issue, serious illness, a family emergency. The kind of crises that all of us might face at times in our lives, combined in their case with a job that demands long hours and acute focus and is carried out largely by intense young people. What they needed from me was empathy and some understanding of why they weren’t being productive. And when I asked colleagues if these episodes were unusual, I learned that they, too, had similar stories to tell. When these events first confronted me – when I was in my early 30s – I had no clue how I should respond. After all, my entire training to that point had been focused on how to do science, not how to deal with people – much less people going through the kind of turmoil that causes them to break down in tears. I had had no practical training in counseling. But over the years, I think I’ve gotten a bit better at dealing with those caught up in difficult situations. I learned to listen a little more carefully, to read emotions a little more accurately and to provide advice that’s a little more helpful. 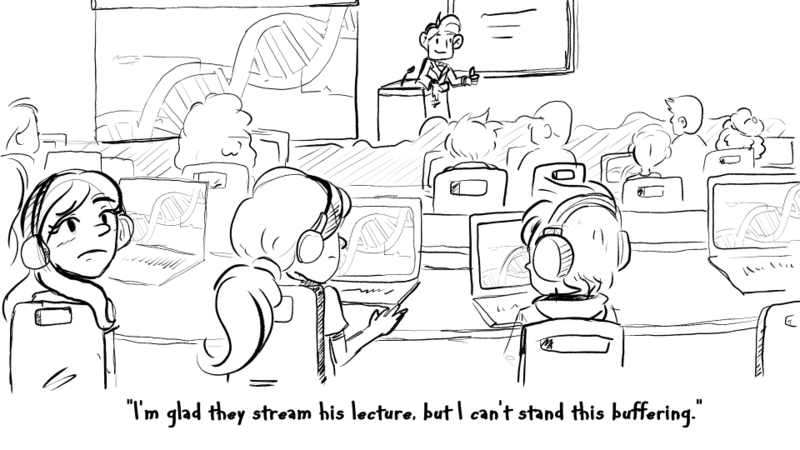 What I drew on for this education was the sum of my experiences, going as far back as I could remember; many of these experiences included interactions with colleagues in our shared environments, like within a lab or academic department. And that’s what worries me. Because I don’t see the current generation of young scientists getting as many of these same experiences to help them become emotionally attuned to their workmates. If you expect me to now rant on about the rampant use of electronic devices and what it might be doing to our interpersonal relationships, you’re right. Undergraduates and graduate students coming into labs today have years of experience texting and playing video games and engaging in social media – up to an astounding 7+ hours a day of screen time. Some studies have shown, for example, that these activities can diminish teenagers’ ability to read non-verbal cues and facial expressions by limiting person-to-person interactions. What these young scientists often find when they join labs, including mine, are some labmates wearing headphones most of the day. They may go to seminars and journal clubs and see half the audience staring at phones or laptops. In some labs, they may attend group meetings that are a misnomer: in reality, few of the group are meeting because most are on their electronic devices. You don’t need to be a Luddite descrying modern communication tools to feel that something important is being lost when lab members participate less in daily small conversations about their lives, the social glue that helps bind us all together. Sure, there are times when periods of deep concentration are required – reading a dense publication, writing a complex program, pipetting the rows and columns of an easily misaligned microtiter plate – when tuning out the world can be beneficial. But when we have the time and energy to talk with the others in our lab bay or the cubicles right next to us, let’s take advantage of the occasion. Let’s learn what’s troubling our colleagues, or what’s making them happy, and let’s learn to read their emotions and empathize with them.